GILLY & JOEY and JOEY'S STORY, offer a novel approach to filmmaking, sequential films, shot conjointly; a two-part story, released two weeks apart. This compelling duo of films, follows the meeting and profound transformation of moonshiner daughter, Gilly Mae Combs, and old money millionaire son, Joseph McGrath. Their life-changing encounter plays out over the span of one month, with a tragic accident shattering their story. 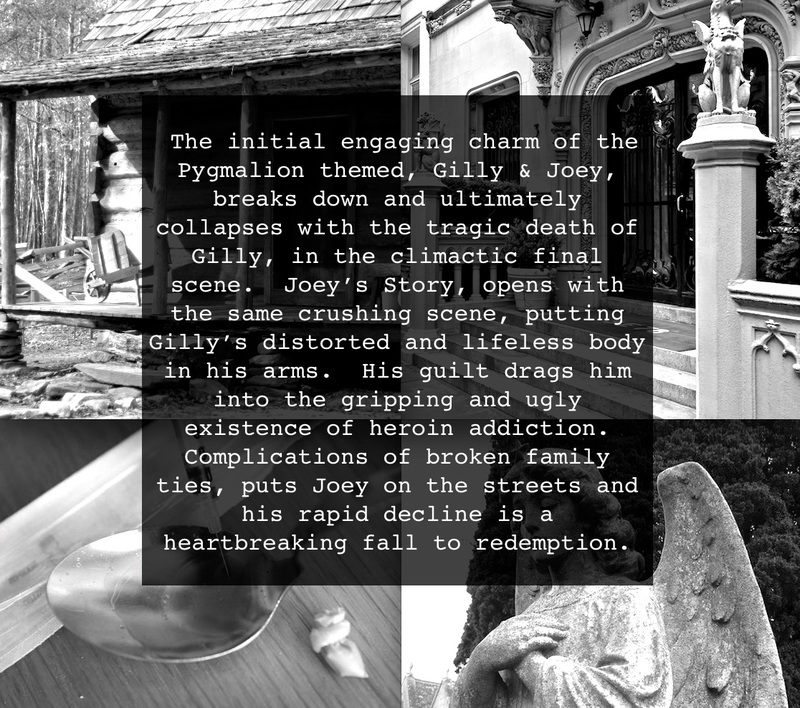 Crushed by her loss and feeling he was responsible for Gilly's death, Joey's guilt drives him into the ugly existence of heroin addiction, homelessness, and the arms of his unlikely saving grace, a prostitute. His fateful journey is, Joey's Story. The compelling narrative of these broken lives, make this power couple, must-see movies.